I had to make a modern private site into a public site so that all the users in the organization can use it without making any access request. Description: Microsoft Teams is the hub for teamwork in Office 365 that integrates with the apps and services. Microsoft Teams App Studio makes it easy to create and integrate custom apps and services. Teams App Studio is now the recommended way to develop Teams apps.In this session we will discuss on how to create apps using Teams App Studio. I was creating a Single Page Application using Angular 5, PnPJS Libraries and sp-rest-proxy. I have created a boilerplate project in GitHub. Please clone and run the project after installing npm packages (npm install). 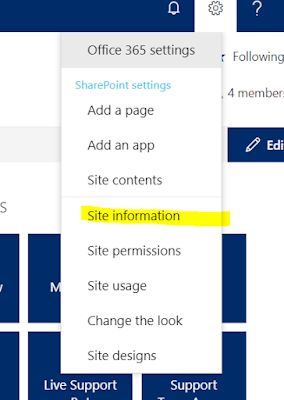 You will be asked your SharePoint Online site url and the credentials in the command prompt. Feel free to provide them. Once you done with these steps browse with http://localhost:4200/ and you will see your basic detail as below. Since then you can develop your complex single page application.